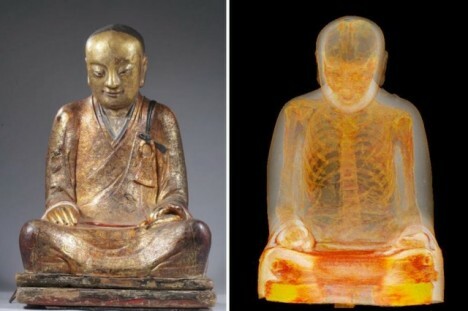 This 1,000-year-old golden statue has left China for the very first time, and already it’s having a grand global adventure. 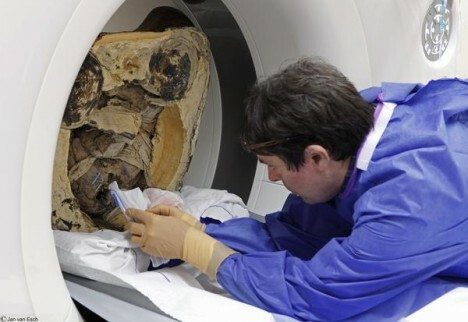 It made its way to Meander Medical Center in the Netherlands where some hospital employees decided to take a look inside with a CT scan – and what they found was seriously amazing. 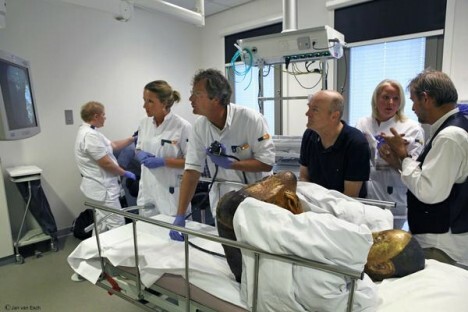 Instead of more metal or even a hollow framework, the hospital staff found a mummified human being within the statue. They believe the remains are those of the Buddhist master Liuquan who died around 1100 C.E. That in itself would be a pretty noteworthy find, but the researchers also discovered that the body most likely underwent self-mummification. After taking samples of the thoracic and abdominal cavities, doctors discovered all kinds of rotten material (as in, not the regular stuff you’d find in a dead person) and scraps of paper bearing ancient Chinese writing that has yet to be deciphered. In other known examples of self-mummification, however, the organs were not removed – making Liuquan an enigma wrapped in a shiny golden shell. 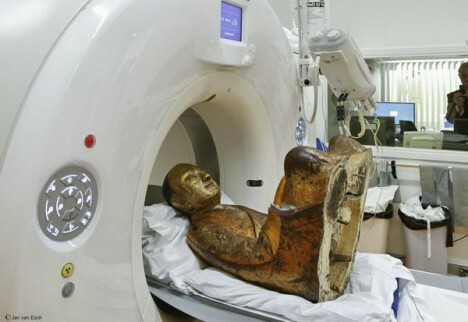 Although the self-mummification theory hasn’t yet been proven in regards to this particular statue, the process has been observed among other Buddhist monks. They prepare their bodies and organs to defy decay after death by ingesting certain herbs and other substances that actually lead to their eventual death. As this is the first Buddhist mummy to ever be studied in the West, Liuquan has a lot of secrets to tell. See more in Antique Gadgets or under Vintage & Retro. February, 2015.